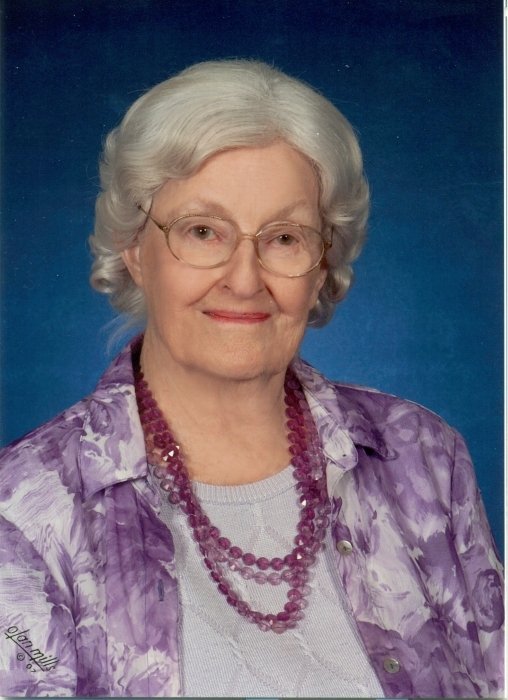 Mary Alice Gunn, daughter of Edith Jane Emery and Griffin A. Parris of Grand Rapids, Michigan, died on April 4, 2018 in Bryan, Texas. She was the wife of the late Dr. Clare A. Gunn, and they resided in Bryan and College Station. A private graveside service will be held on Sunday, April 15 in the Rest-Ever Memorial Park in Bryan. Mary Alice was born December 23, 1918 in Grand Rapids, Michigan. She graduated in 1936 from South High School in Grand Rapids. She then attended Grand Rapids Junior College where she fell in love with Clare Gunn. Mary Alice obtained a bachelor’s degree in physical education at Western Michigan Teachers College in 1940, and began teaching history and physical education in Lee High School, Grand Rapids. On June 20, 1941, she married Clare Gunn and immediately moved to Amherst, Massachusetts, where he began his career teaching landscape architecture. After moving back to Michigan, she taught physical education at Haslett High School. It was in these next three years that she began raising a family of four boys. They next built a home in Okemos near Michigan State University where Clare taught. In 1966, they moved to Hawaii and she was active in the East-West Center, University of Hawaii. Upon moving to Texas in 1967, she obtained a masters degree in Counseling at Texas A&M University and worked in the area schools of Hearne, Somerville, and Snook. Throughout her career she was able to balance her professional work with raising a family. Mary Alice gave her boys much love, nurturing, and guidance in their formative years. In her marriage of 74 years, she gave Clare much support and assistance in his research, teaching, and publishing. Most of his writings were typed and edited by her. After his retirement they enjoyed many trips on his consulting projects overseas. Their many years together were sustained by consistent threads of love and respect. They were long time members of A&M Methodist Church of College Station. Mary Alice leaves behind to cherish her memories, four loving sons; Thomas A. Gunn of Kyle, TX, Bruce R. Gunn and wife JoAnne of Flower Mound, TX, Richard C. Gunn and wife Dr. Kerry Hope of College Station, TX and William E. Gunn of Placerville CA; five grandchildren and three precious great grandchildren, niece; Virginia Steel of Wayland, MA, and nephew; James Gunn of Sandgate, VT. The Gunn family wishes to thank the St Joseph Manor of Bryan, Unit 2, for the loving and professional care she received the past four and a half years. They truly made it her home.